Is PPC working for your business? 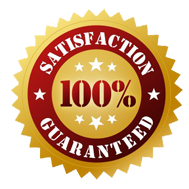 We can evaluate your entire strategy and give you a qualified assessment of its success. • Where does your business currently rank in the leading search engines? • Are you seeing immediate results from strategic keyword targeting? • Is your search engine listing providing you with potential customers? With our PPC management you will receive competitive placement, and optimization through content. You’ll also receive analytics and up to date monitoring of your campaign. With JS Design, you’ll get the most out of your PPC investment. Pay Per Click (PPC) is a way to direct traffic to a website almost immediately. How? Search engines, such as Google and Bing, sell listings to businesses and individuals who in turn pay a set amount each time a user “clicks” on their advertisement via their search results. To ensure qualified traffic reaches the target website, advertisers generate keywords which align with the user’s search entry terms, i.e. “camping gear”, “landscaping services”, etc. A PPC campaign offers focused advertising and quicker results, than non-paid, “organic” search engine results. This type of campaign can become expensive if not monitored and optimized on a regular basis. With our Pay Per Click management, we can not only generate leads for your business and optimize your investment, but offer insight as to whether or not this is the best strategy for you. 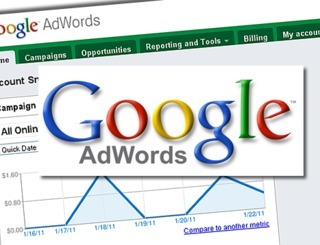 A well managed PPC advertising campaign can yield immediate results and customers. Together we can assess if this is the right campaign for your business. A well planned, well managed PPC campaign can give your business an unmatched ability to adjust to evolving market conditions. With our PPC services, your business will not only rank in leading search engines, but also on advertising network websites within your market. We will consider your budget on a daily basis, and continually choose and modify keywords geared to the most profitable conversion rates. Your ads will stand out to those of your competitors. As we will be constantly monitoring your campaign’s progress, if we discover a way to lower your costs and boost your conversions, you’ll be notified and we’ll act right away. Contact Us to learn more about our pay per click campaign management services or other aspects of PPC management.